This is a special Collector's Edition early release. The game is scheduled to be released in 2-3 weeks so, the Collector's Edition is for those who can’t wait to save the kingdom. As a bonus, Collector's Editions purchases counts toward three stamps on your Monthly Game Club Punch Card! 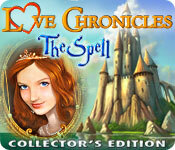 Love Chronicles: The Spell Collector's Edition is rated 4.3 out of 5 by 17. Rated 5 out of 5 by perfume60 from Lovely Adventure Game all around I would like more of these Adventures of Love Chronicles . After this one they were good but not as good as this one. I have played the others but The Spell was the best game ever. Lovely graphics and music. Rated 5 out of 5 by oolongmom from Slightly different and very fun This had a bit of a different "personality" than your run-of-the-mill HOG. It was refreshing to play something with some differences. I found this game to be very fun. At first I didn't know what I was supposed to do or where I was supposed to go, then I realized you need to use your journal (or whatever they called it) to see what your next objective is. You can also quickly move from one location to the next using that book as well - didn't waste time "walking" around in this game. The story line was not as predictable as I thought it might be, which is fun as well. 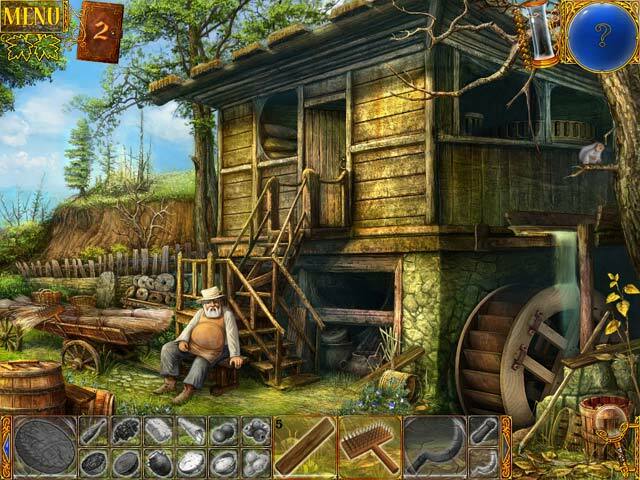 Rated 5 out of 5 by celtic_rose from Utterly charming This is perhaps the most charming game I've ever played from this genre. I thoroughly recommend it. CE vs SE If you're like me you've already played the demo and only read reviews to see if the CE is worth the extra pennies. I'm going to say honestly it isn't. I thought the CE would be like the SE game but it isn't. No minor romantic story and it lacks the charm of the main game. Basically your ship is stranded and you've got to get it out to sea again. That's it. There's a little something to do with pirates but its minor. The bonus chapter they clearly just made up in a 5 min coffee break. If want the full trilogy I'll tell you now the final game Salvation is the ONLY one where the CE is worth it. Get SE for the other 2 because I wish I had. Rated 5 out of 5 by sandradolores from A short review and a recommendation This truly is a pleasant game to play. I enjoyed finding pieces of objects, the story line was nice as were the hints and map that is a transporter one. Also, You really have no problem in getting lost and knowing what to do. 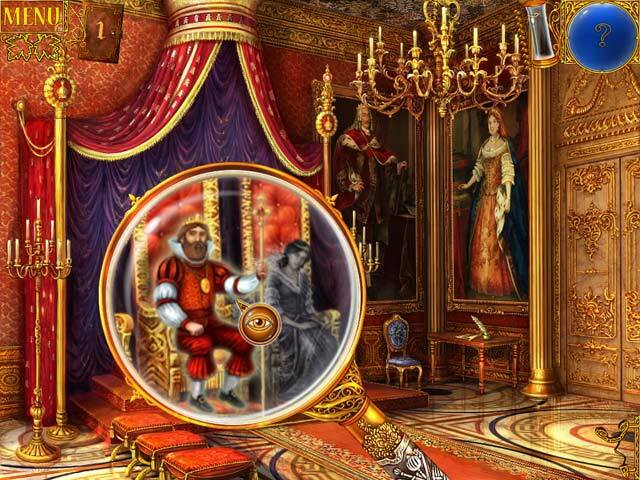 My suggestion: If you liked this game, you probably would love the Dark Parables ones. 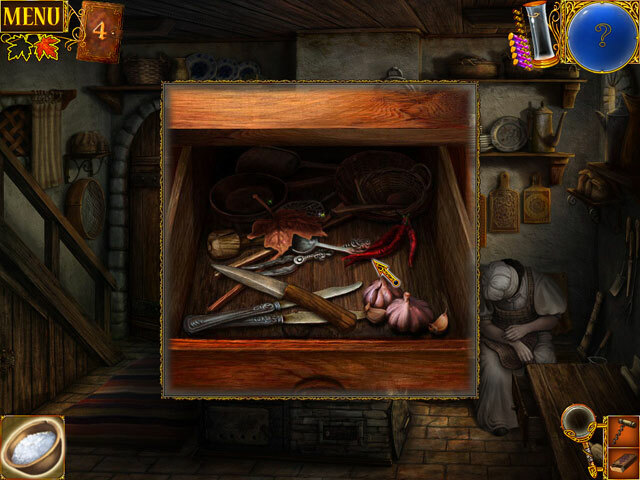 For your HO's,at the bottom of the screen, you are shown pieces of objects to find. There are usually three to complete. The scenes are extremely colorful . I bought the CE's for these, and had to use the guide often I'm on the intermediate level. Thank you all for your input re this particular game. Rated 5 out of 5 by lahdeeda from Totally worth it! It was a lot of fun, H.O.G. 's that actually had a relevance to the story (which makes for a nice change, instead of just collecting random objects) which lead to puzzles. Also a running search for items throughout the game, and pictures of the objects so you know what they look like. It's not going to challenge you to the outer limits or anything, but it's good fun. Rated 5 out of 5 by Girtabik from GREAT! Great game! One of my favorite HO's of all times along with "The Fool". Very kind and beautiful game! Besides, the music is marvellous! Rated 5 out of 5 by wahyukusuma from Challenging and Fun Games This game is awesome. Make many like this game. Keep it up. Rated 5 out of 5 by drkne from Fun fairytale game Long enough and fun enough to be worth buying, even the collector's edition! Especially if you like the lighter titles. I thought the characters and puzzles were fun, and there were a few challenges that weren't so obvious. It's one of the type of search games though where you look for pieces of an item that is pictured and broken up at the bottom of your screen. Sometimes I enjoy those, but not always. I usually prefer the more traditional search games where you're looking for listed items instead of fragmented images.